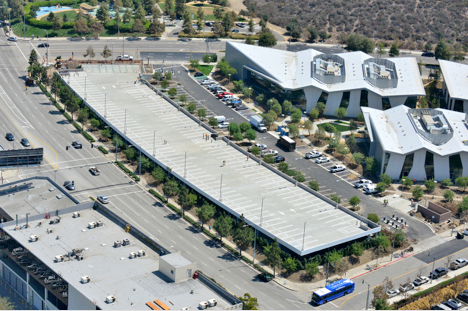 Klorman Construction was the design/build contractor the two level 410-car partial subterranean level flat plate post-tension concrete parking structure featuring tandem stalls to maximize parking and a curved/crescent-shaped floor plan that follows the boundary of the site. The additional parking space was necessary to service Yahoo’s denser office space requirements. The structure also includes a special methane abatement system to alleviate the site’s sub surface condition.